Mauritius is a small island nation, covering an area of about 1900 Km2, in the south west Indian Ocean and lies approximately 900 km east of Madagascar. According to geologists the island emerged, million of years ago, through volcanic activities on the Mascarenes submarine plateau. These volcanic activities which lasted until about 100,000 years ago shaped the island. The Mascarenes submarine plateau is a submerged land. It is thought that this plateau formed part of a large continent named Gondwana (from Sanskrit gondavana - “forest of the Gonds"), by Austrian scientist Eduard Suess. Schematic map of part of the Gondwana continent before drifting. 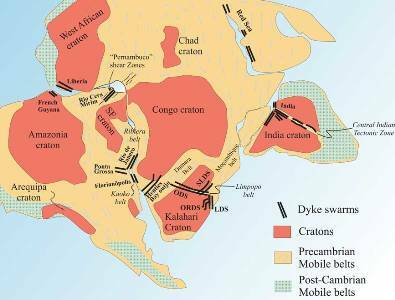 Gondwana had broken up million of years ago as a consequence of enormous pressure exerted by drifts in the continents. 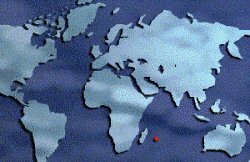 Isolated in the Indian Ocean basin, the existence of Mauritius remained unknown to human till man started sailing the ocean and travelled to the island. The Portuguese were the first Europeans to discover the island. By that time, however, its existence was already known to the Arabs. Neither the Arabs nor the Portuguese settled here. The Dutch were accidentally driven to its shore in 1598 and decided to colonise the island in 1638. They resentfully abandoned it in 1710 after two unsuccessful attempts to make the colony a prosperous one. Île de France was impressively developed by illustrious French governor Mahé de La Bourdonnais. Later the British engaged themselves in a battle with the French colonists to take possession of the island. Eventually, French General Decaen opted for a honourable capitulation on 3 December 1810. The island was renamed to its former Dutch name and remained a colony of the British Empire till its independence on 12 March 1968. DST – No Daylight Saving Time is implemented. English is the official language while French is extensively vehicled by the local media and is commonly used in office dealings and in schools. Mauritian Creole, a French-based creole language, has evolved from a lingua franca to the mother tongue. German, Italian and Spanish are spoken in many hotels. Indian languages (Hindi, Tamil, Telugu, Marathi, Urdu and Bhojpuri) and Chinese (Mandarin & Hakka dialect) are more used to perpetuate ancestral culture and religious traditions. 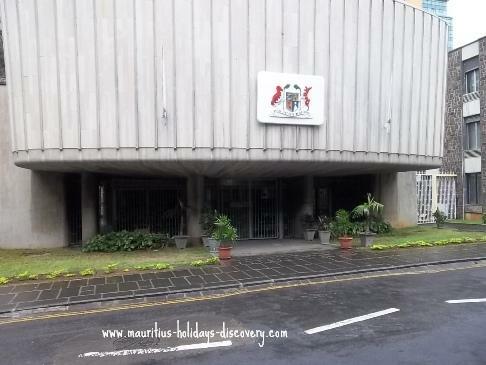 The Republic of Mauritius is a parliamentary republic within the British Commonwealth. It obtained its independence from the United Kingdom on 12 March 1968 and Republic Day was proclaimed on 12 March 1992. The head of state is the president and the prime minister is the head of government. The island has no indigenous population but is instead a diaspora of Indian, African, Chinese and French people. There exist also a very small community of Mauritian Jewry. The Mauritian Rupee (MUR, Symbol Rs or Rp) is the national monetary unit. Notes are in the denominations of Rs2000, Rs1000, Rs500, Rs200, Rs50 and Rs25. Coins are in the denominations of Rs20, Rs10, Rs5, Rs1 and 50, 20, 10 and 5 cents. The local cash payment currency is the Rupee. Euro or Dollars are very rarely accepted. You can exchange your currency at foreign exchange counters located at the arrival halls of the airport or at banks across the country. MasterCard and Visa are widely accepted in all major establishments and shopping malls. American Express is less popular.